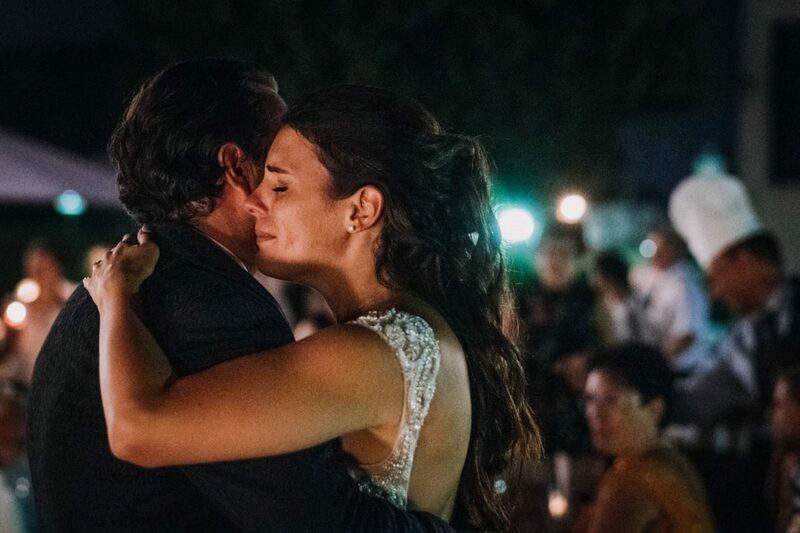 Some weddings really make our hearts beat fast. 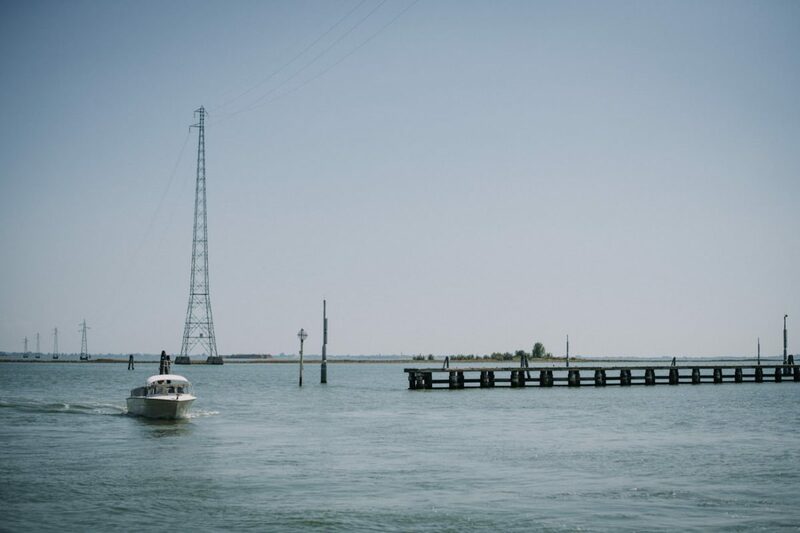 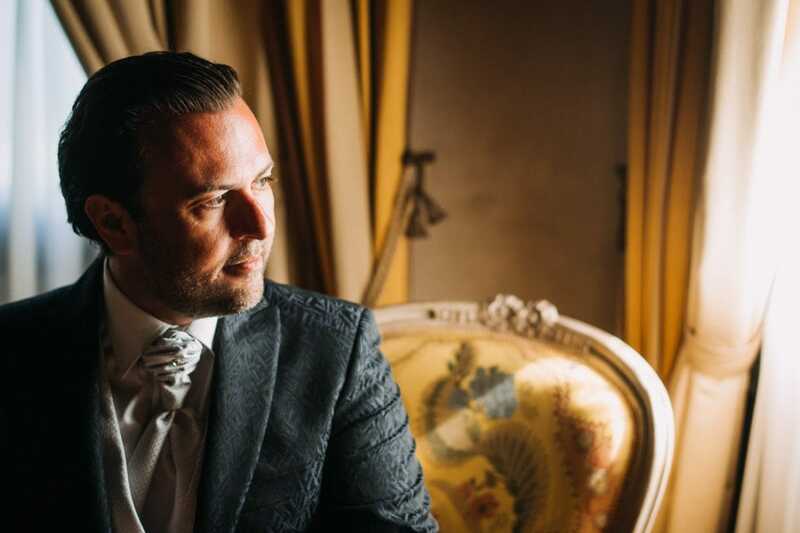 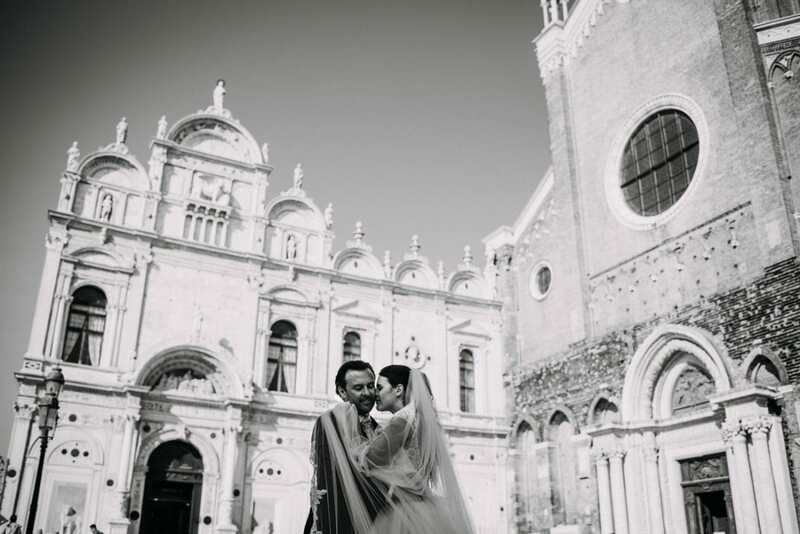 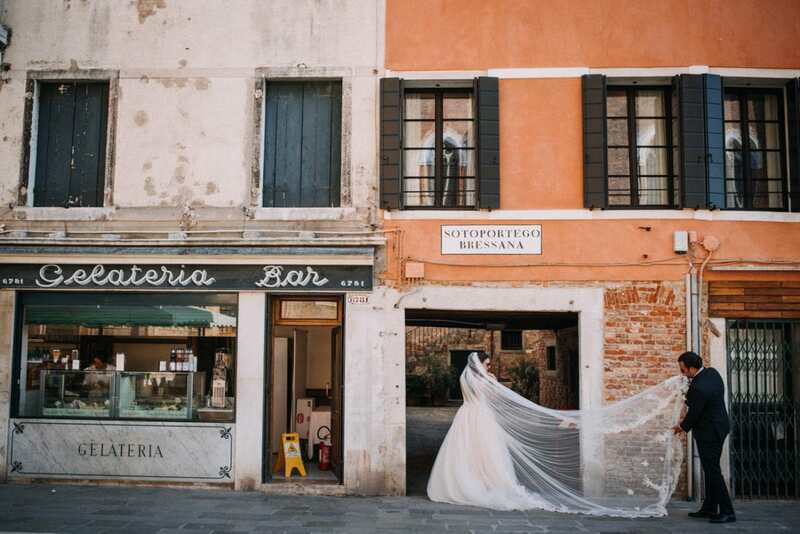 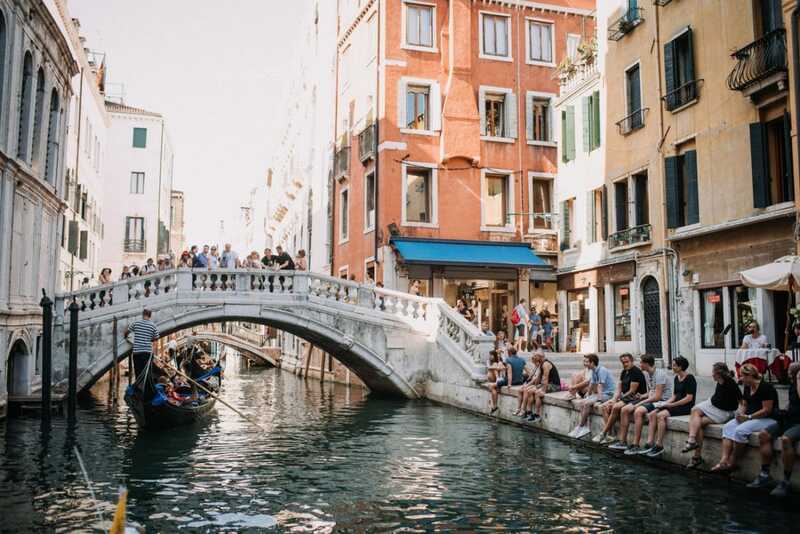 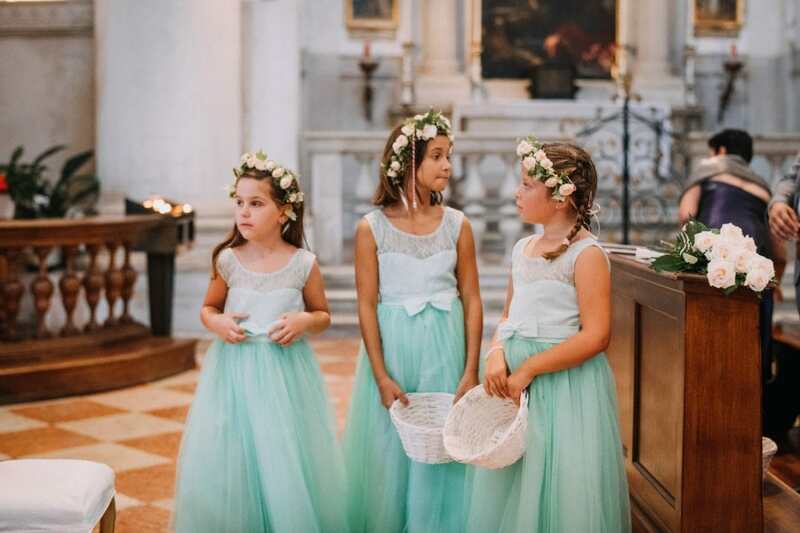 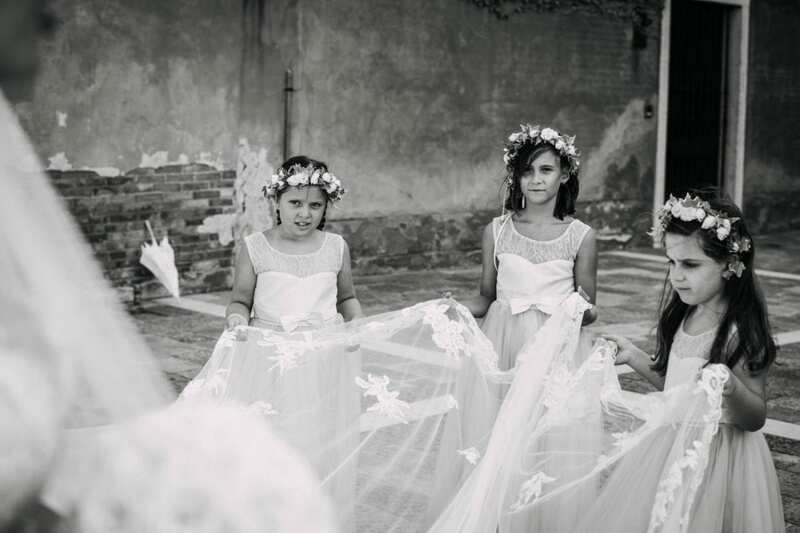 It’s the case of Sarah and Adriano’s, from Switzerland to Venice for a stunning destination wedding! 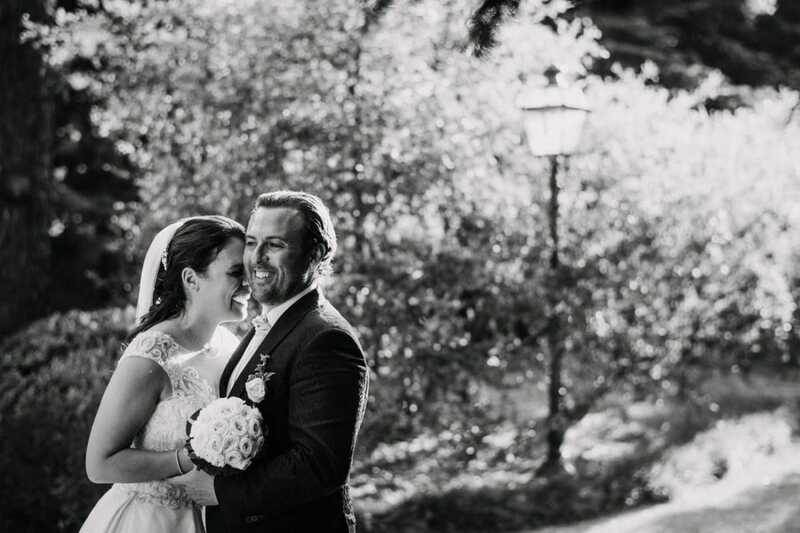 We love weddings that really connect to the couple’s heritage. 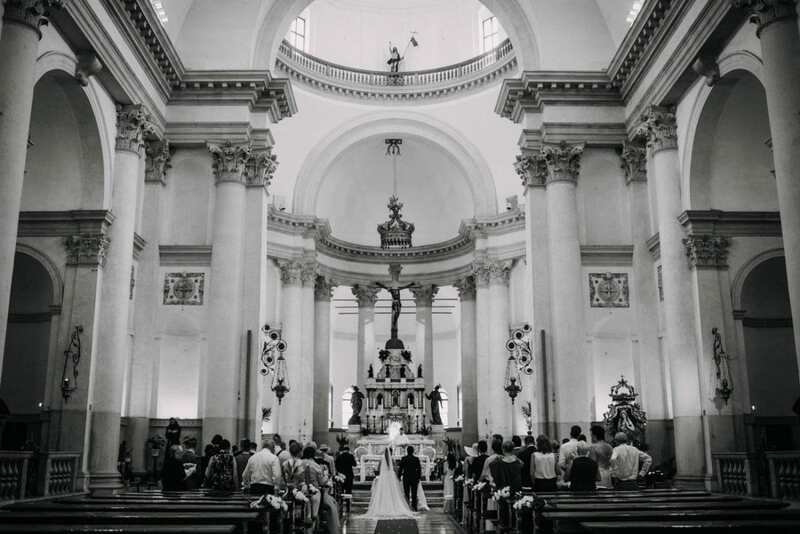 Sarah’s father moved to Switzerland when he was young, but he was born in Venice: many years before, Sarah’s parents got married in that exact church (the stunning Church of Redentore). 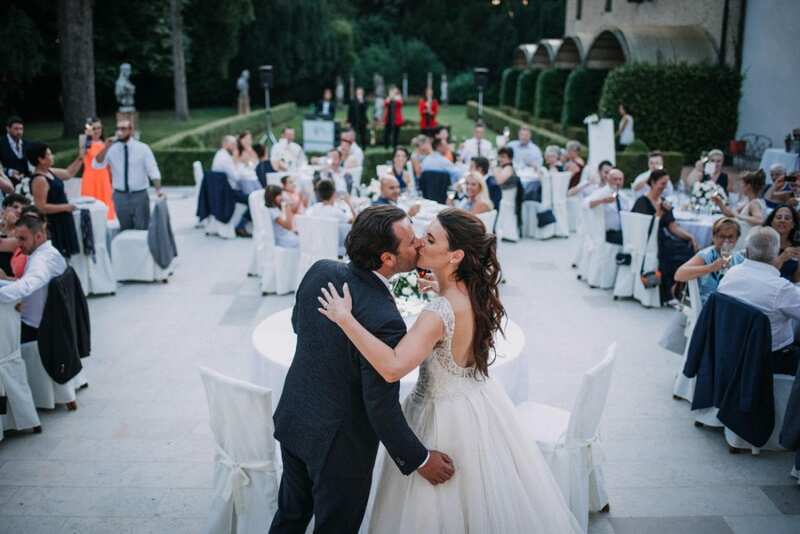 Enjoy this romantic Love Story! 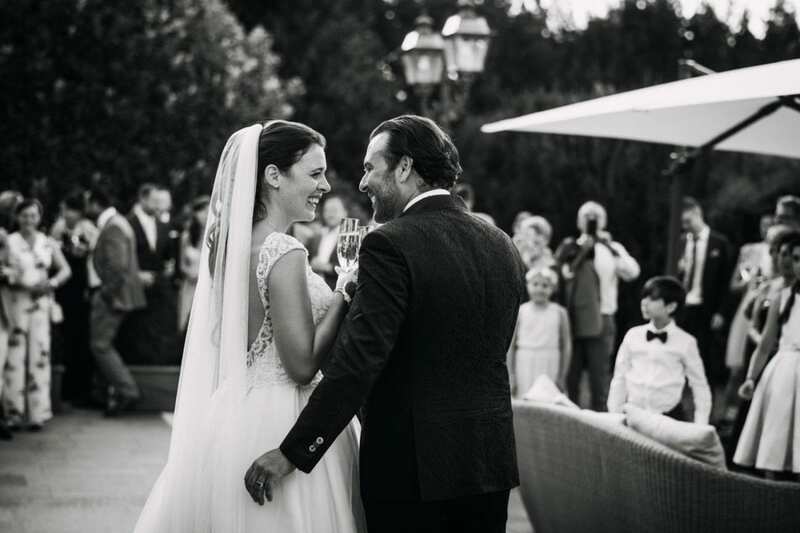 Even though they were born and raised in Switzerland, Sarah and Adriano’s families come from Italy. 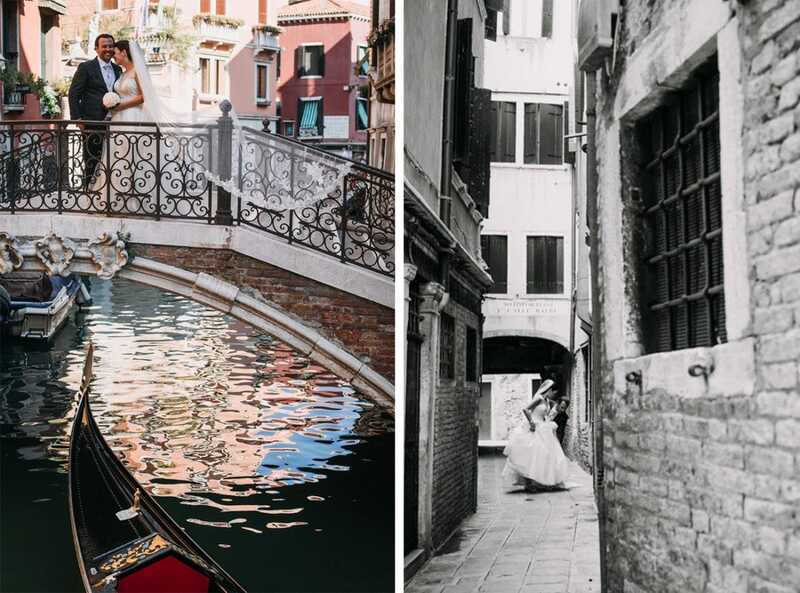 Their destination wedding in Venice was a lovely comeback for the whole crew: many friends coming from all over the world, and the family members reunited with their origins. 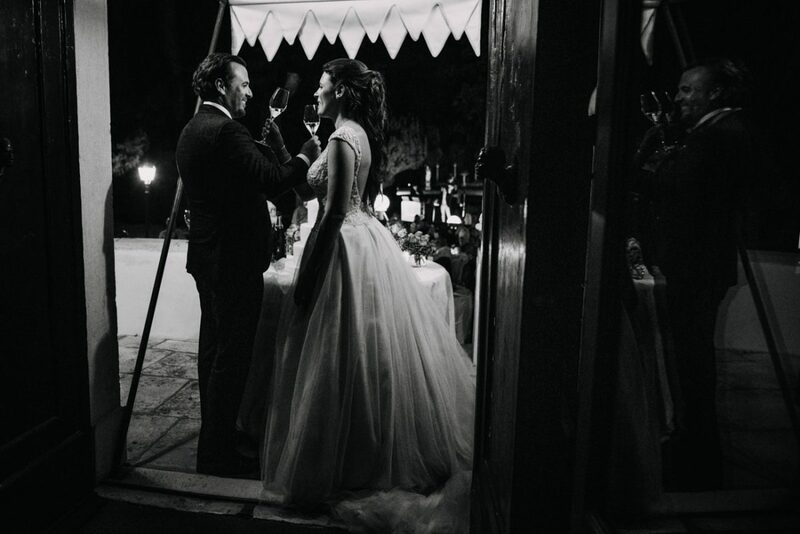 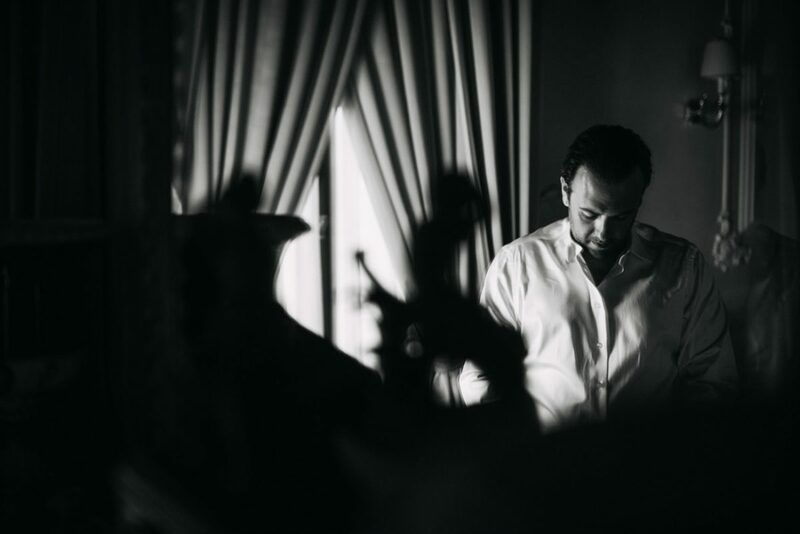 Sarah and Adriano got ready and had their wedding party in the amazing Villa Franceschi, in the land area of Venice. 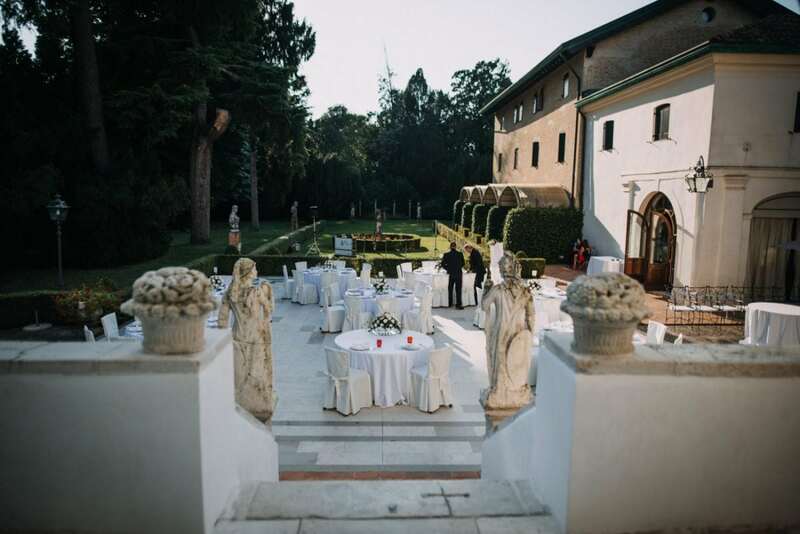 Villa Franceschi is a beautiful palace built in the late Seventeenth Century, one of the famous Ville del Brenta. 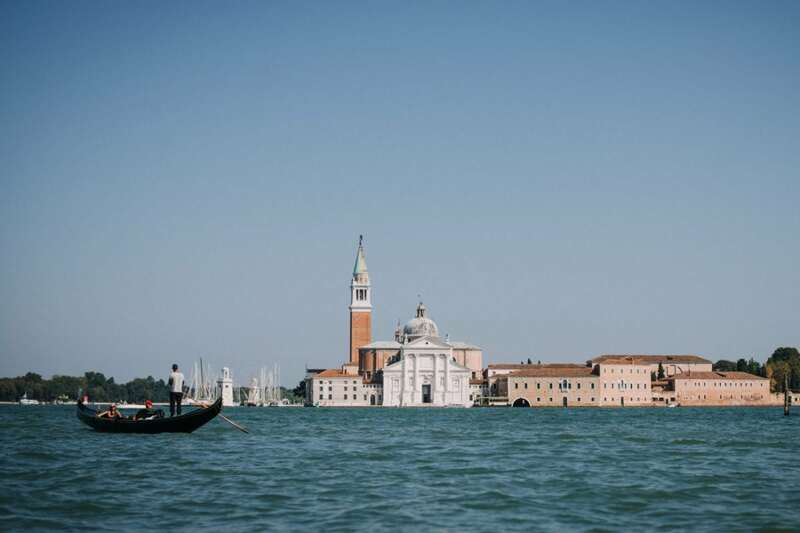 Nowadays it’s a five-star hotel, very close to the Islands of Venice, but far enough to enjoy a peaceful time out of the crowd of the city. 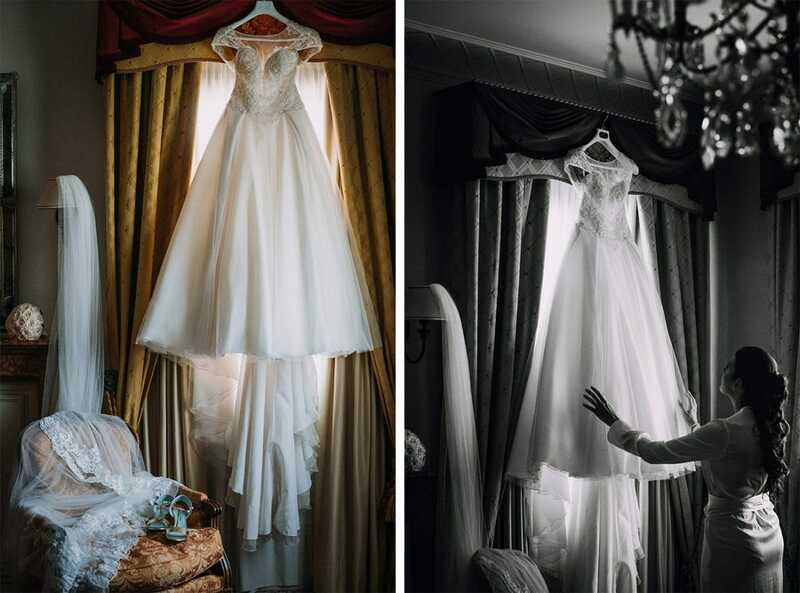 There, the future spouses got ready. 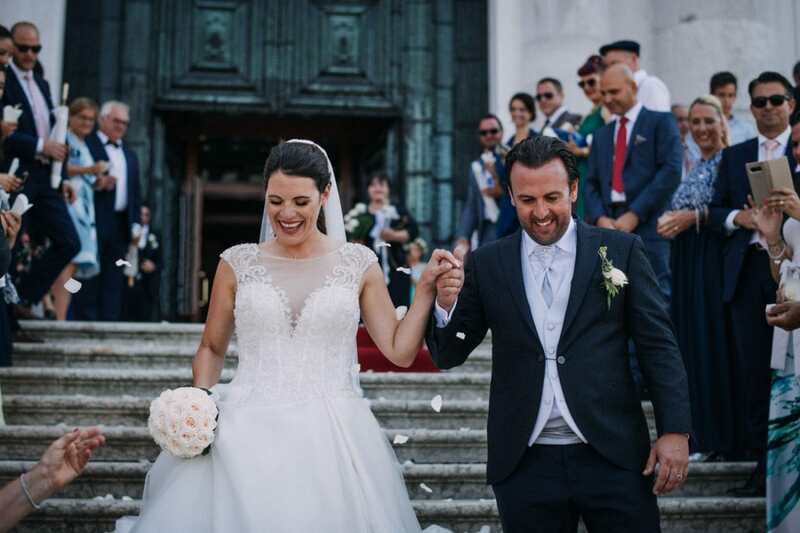 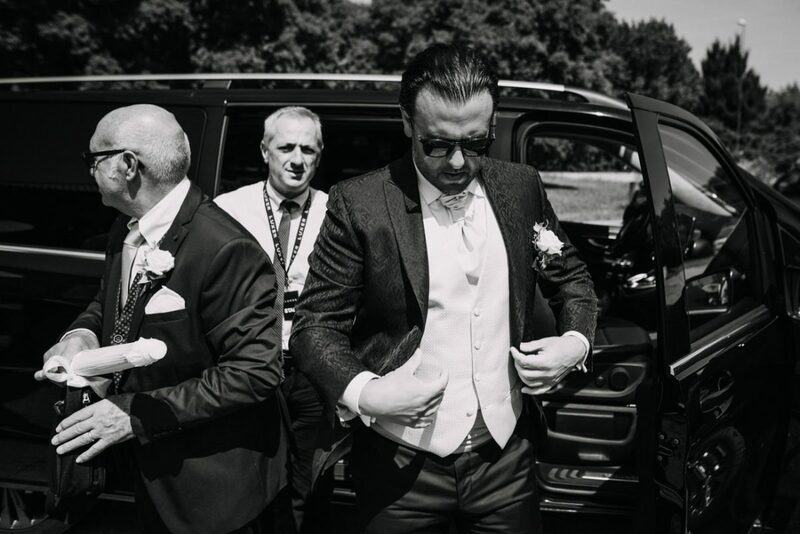 After having worn his wedding suit, Adriano left with all the guests and reached the amazing Church of Redentore via boat. 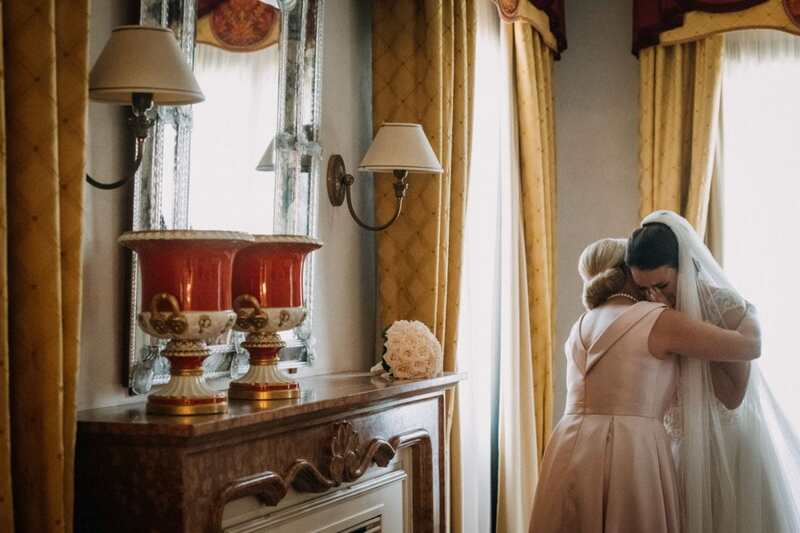 In the meantime, Sarah was getting ready with her mom, too. 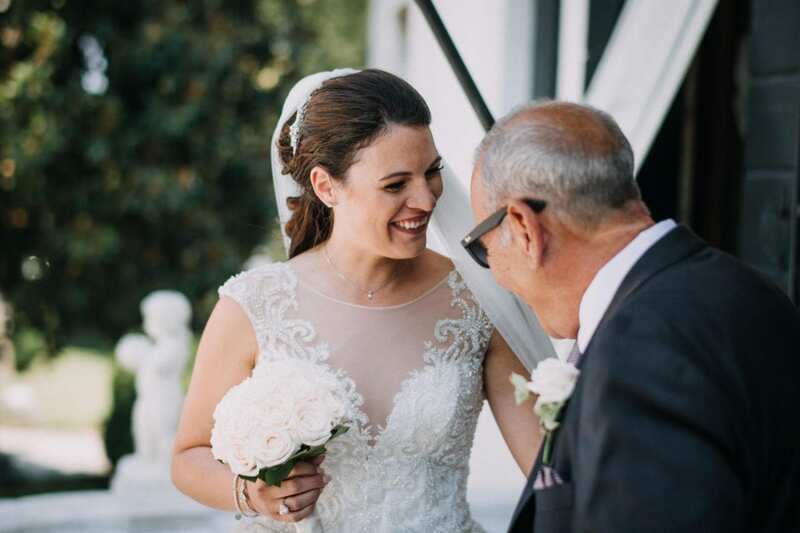 Her first look with her father was so emotional! 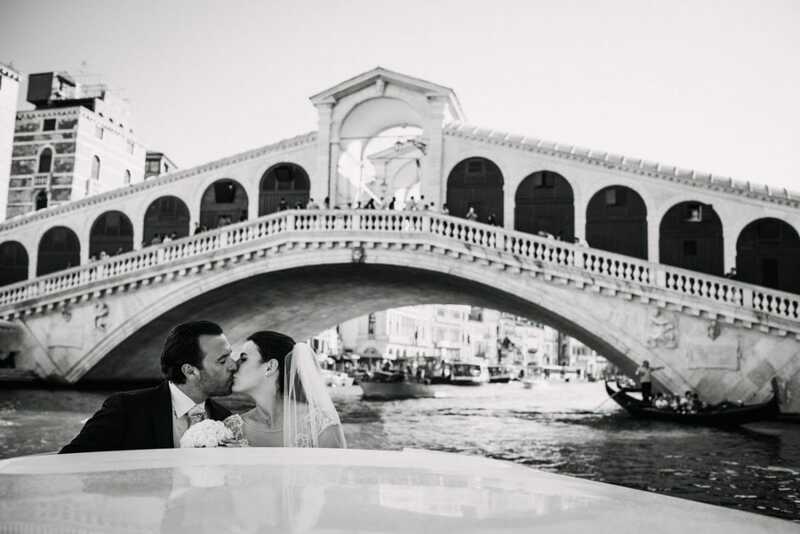 The three of them reached the Church via water taxi, and all the guests were waiting for the bride inside the church. 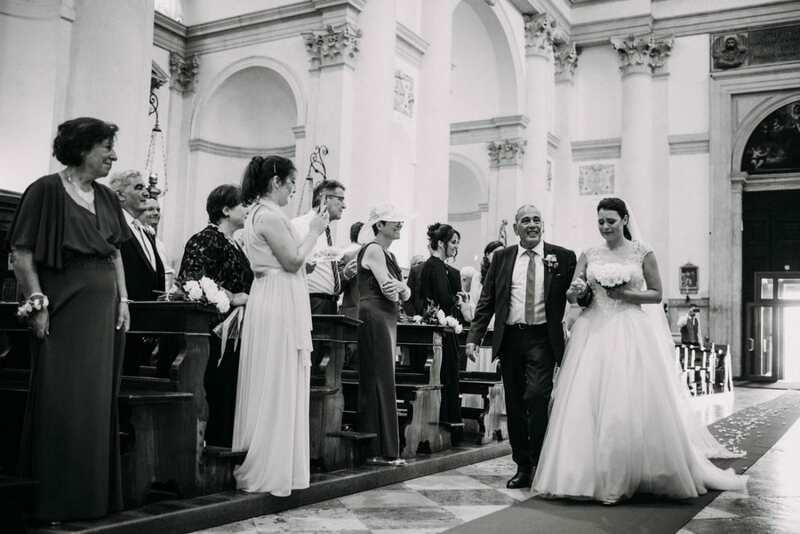 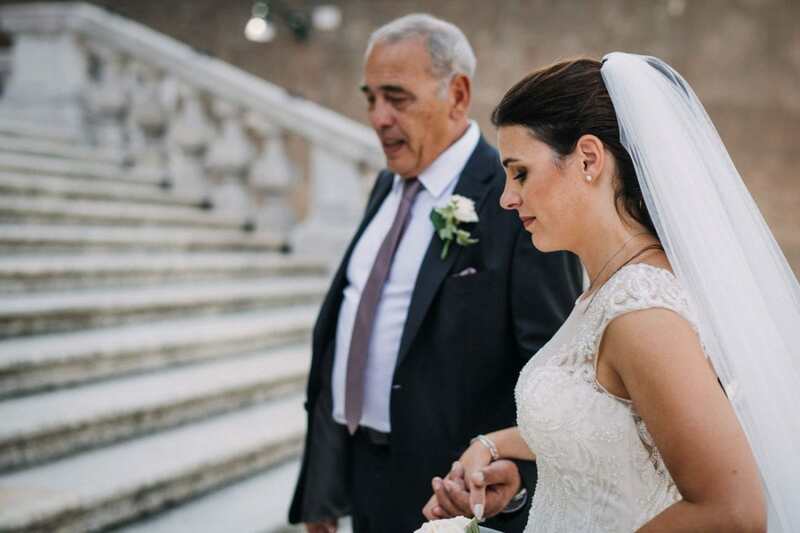 Sarah’s walk to the aisle hand in hand with her father was so emotional – everyone was in tears, especially her! 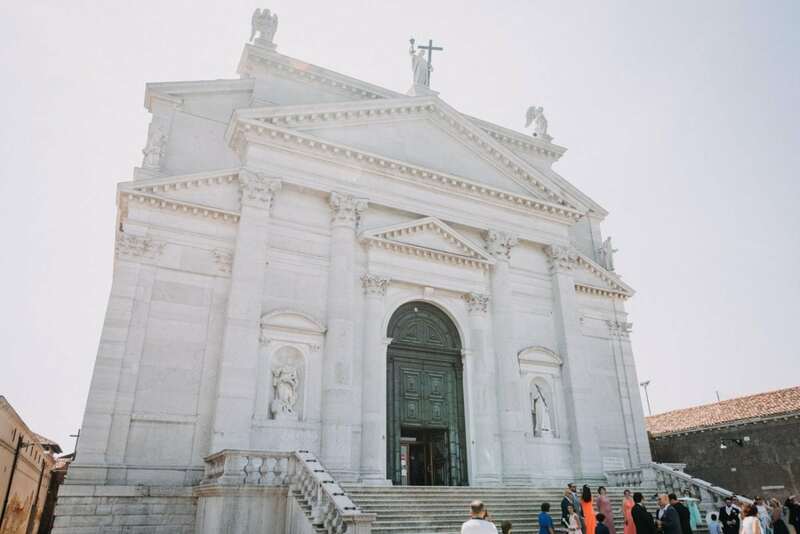 The Church of Redentore is simply amazing: it was built by Andrea Palladio in the Seventeenth Century, and it’s undoubtedly one of the most beautiful Churches of Venice. 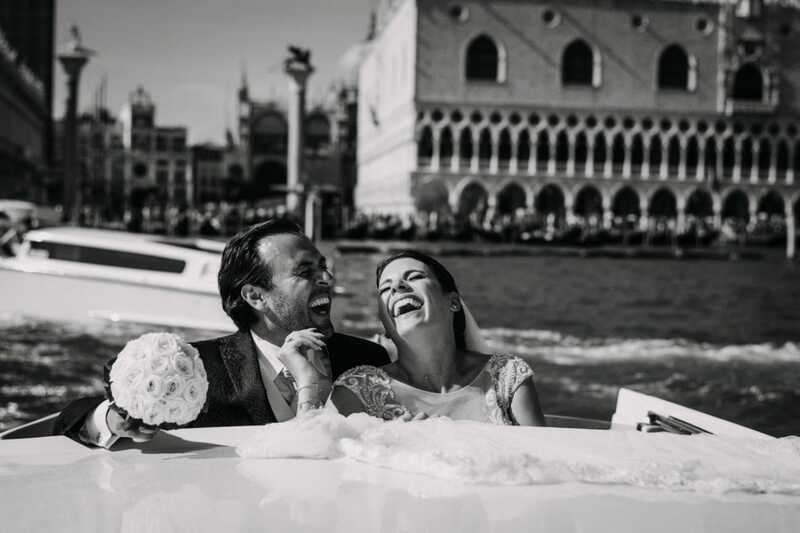 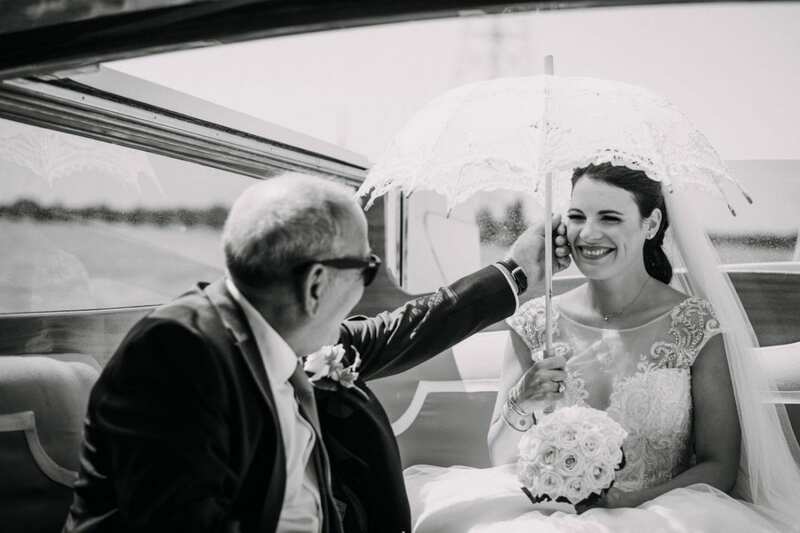 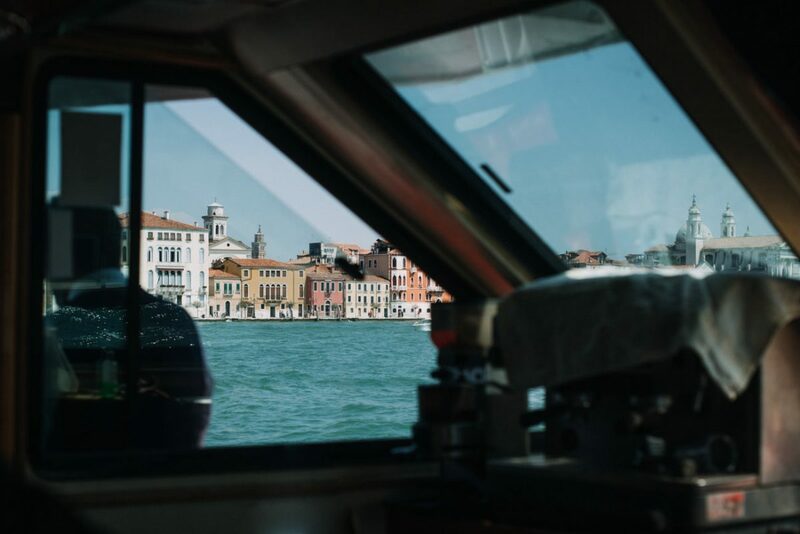 After the beautiful and touching ceremony, Sarah and Adriano took a water taxi to enjoy a private tour of Venice, while the guests had another tour on the large party boat. 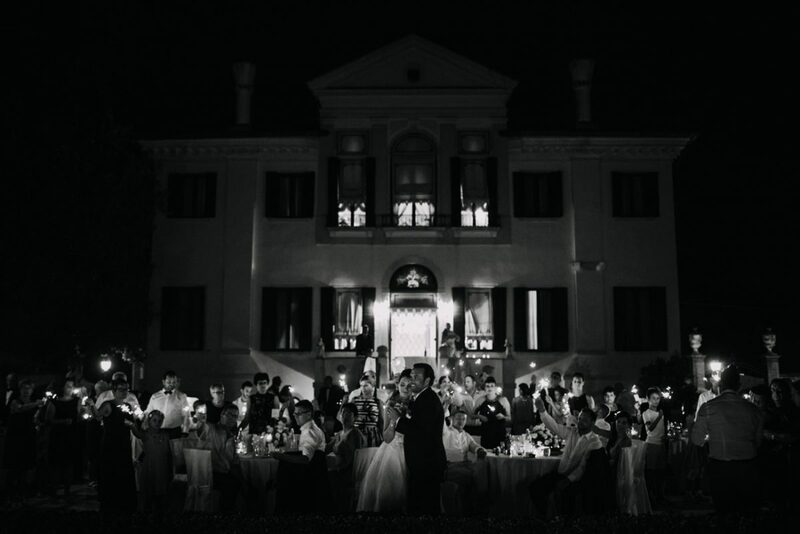 After our couple photo session, we all reached back to Villa Franceschi, where the party started! 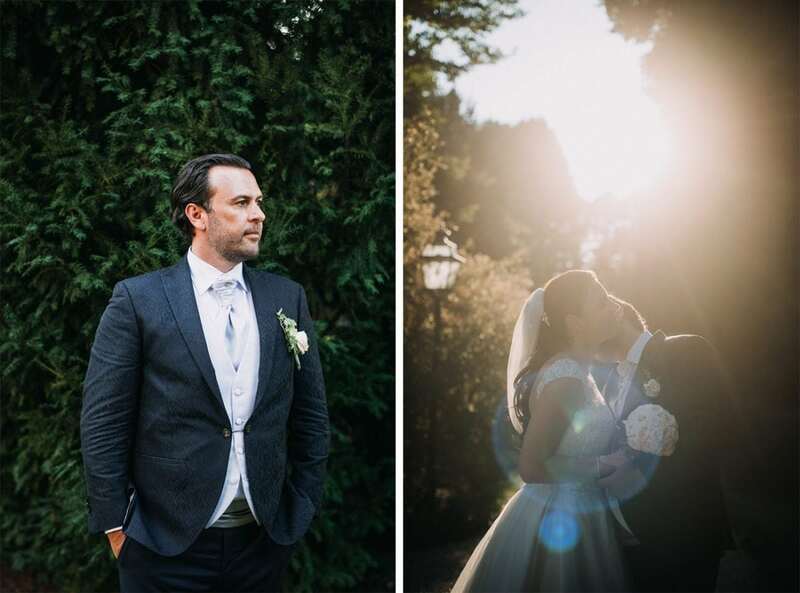 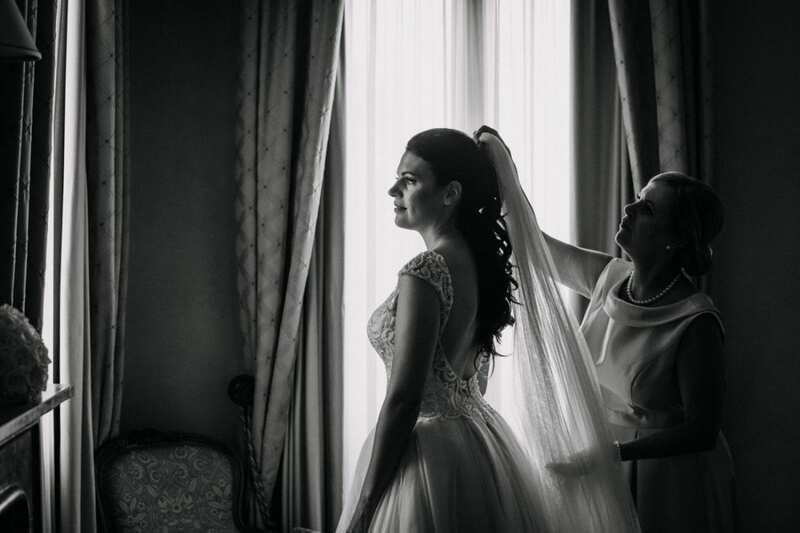 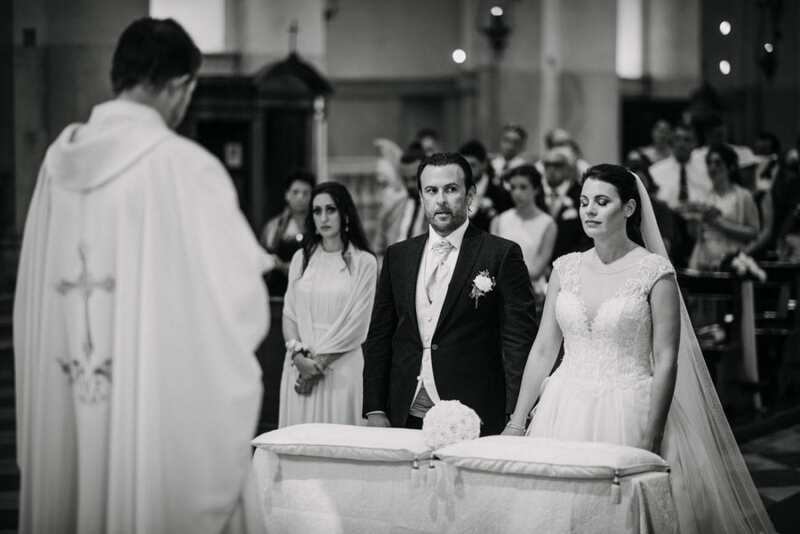 A lovely day for a beautiful couple, perfectly planned by Cristiana of Weds Cris.